Toy Crazy clerk Julianna Jones shows off one of the store’s many unique playthings. 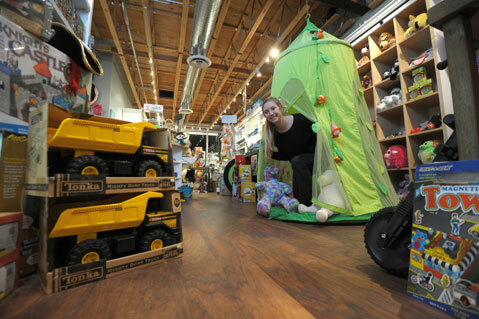 Since its Santa Barbara location opening in August 2011, Toy Crazy has been reintroducing this generation’s youngsters to the mystical Shangri-La that is the toy store. From Gumby to China tea sets, this small Southern California chain is focused on offering safely manufactured toy selections and prides itself on going “the old-school route.” Owner Melissa Moore ensures that Toy Crazy stores “provide the ‘Best of the Best’ for children of all ages” while still keeping the essence of what it is to be a little (or big) kid in a toy store. As a teenager growing up in Valencia, California, Moore’s first job was at Toy Attic. 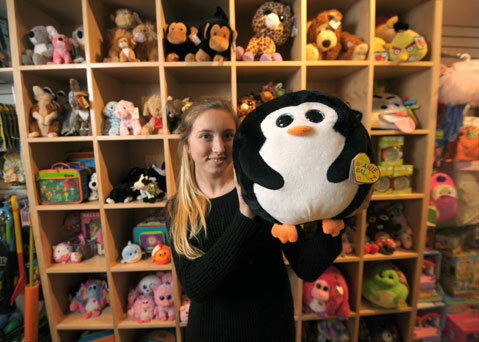 While home on holiday from Chico State University, Moore continued working at the Toy Attic, furthering her knowledge of the business and learning to accommodate children and parents. So when the Toy Attic owners decided to retire, Moore seized the opportunity to buy the business. With financial backing from family and friends, Moore, who by this time had graduated college with a bachelor’s degree in media arts and communication, took over the toy business that had meant so much to her as a youth. With close to 26 years’ experience and a family of her own, Moore is still doing what she loves, bringing joy to children and giving back to the community. “We are so lucky to be surrounded by customers that want to support local businesses,” she said. Since Toy Crazy opened in S.B., Moore has made many charitable contributions to the community, including Montecito Union School, Santa Barbara Birth Center, the YMCA, Lou Grant Parent Child Workshop, and Transition House to name a few. 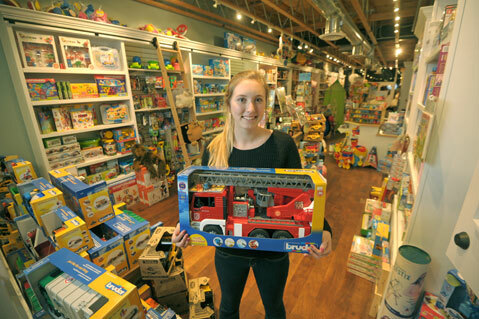 More than just a business, Moore hopes to educate young children in the importance of saving money; she created Toy Crazy Allowance Day, in which kids receive a 15-percent discount when purchasing items with their own allowance money. Pop over for a visit, and check out everything Toy Crazy has to offer you and your family at 1026 Coast Village Road, Montecito; (805) 565-7696.